What does content versatility mean to you? Whatever your subjective understanding is, video marketing content will blow your mind more than you may expect. The benefits are enormous and the R.O.I. is close to an absolute guarantee. Let’s explore why the sky isn’t the limit with video content – the universe is. However, before we leave Earth, let’s take a look at what you’re currently doing for sales and marketing content and why it pales in comparison to video. Your other marketing investments probably manifest in the forms of brochures, blog posts, trade show displays, emails and custom PPT decks. Moreover, these efforts are often one-time investments with only one singular purpose in mind. It’s a one and done system that rarely delivers a huge R.O.I. So, if you are looking for a high R.O.I. you should transition your way of thinking and begin contemplating long-term uses with (you guessed it) video marketing. You may think that video also provides a one-time use case scenario. This is incorrect. Video content has far more multi-use potential than most people think. Furthermore, corporate video production allows you to extract numerous individual pieces of content for re-purposing (we’ll get into this in a minute). This is one of the amazing characteristics about video and having a Video 1st Strategy – the production of other content becomes exponentially easier. After all, what is video/film from a technical perspective? It’s 24 still frames (images) per second in rapid succession to produce the illusion of motion. This illusion is coupled with sound waves that make up the audio track that’s synced with the video. 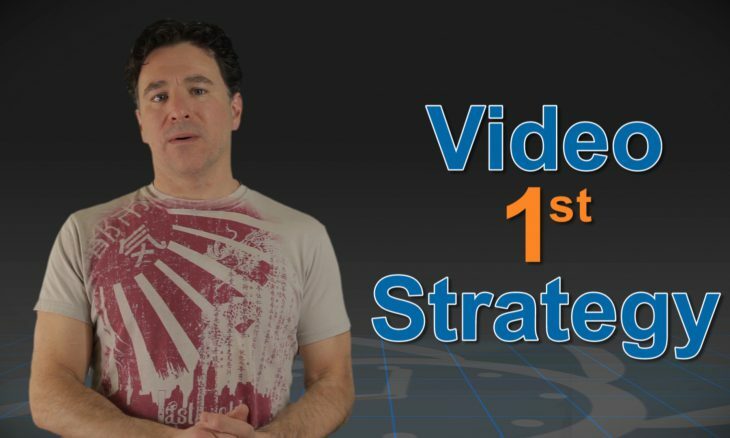 However, unless you already have extensive knowledge about corporate video production (from pre-production planning, day-of production, to post-production) and video content distribution, implementing a Video 1st video marketing strategy is not that easy. So you might want to consider working with a corporate video production company who knows a thing or two about digital marketing. Having good quality video is just too important to have “Jenny the intern” run around with her new Galaxy phone trying to shoot video for your business. It probably won’t represent the quality of your brand and thus will not be as versatile. This will ultimately leave you wasting valuable time and resources. So, from the perspective of a pragmatist, what are the uses for video marketing content? Let’s get ankle deep first with some statistics. According to Wyzowl, 82% of businesses feel video is an important part of their marketing strategy and 83% of those using video believe it gives them a good R.O.I. And a whopping 82% of businesses even think it’s a key part of their marketing strategy. Why? When you approach corporate video production and exercise a thoughtful content syndication strategy, you not only walk away with a compelling video, but you also will have a mother-load of marketing materials that can be extracted from each video. The materials can be re-purposed to satiate you other content marketing needs. 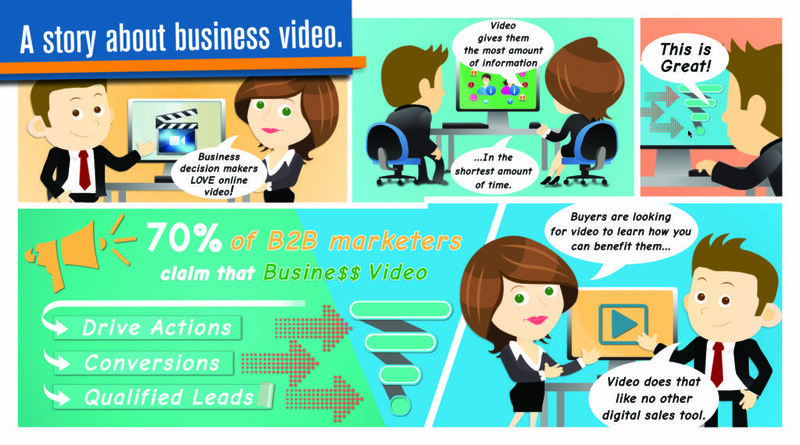 Video also has a longer long life span than most other types of sales and marketing content. While estimates deviate, it’s a safe bet to assume a video, such as a corporate overview video, will last around 5 years; as your company’s messaging won’t drastically change over that period of time. Perhaps you want to make a case study or service overview video to explain the details of what you offer. These types of videos also have considerable longevity. They can last 3-5 years or longer depending on the evolution of your offerings. In theory, you could have a video that lasts 10 years if your core services and value propositions remain the same. Do you need pictures of a company VIP? Extract stills from the video. The resolution of most modern day digital video cameras is high enough to produce exceptional quality stills from the video file. Do you have graphics and basic animations that were created in post-production? These can be extracted and used elsewhere. Perhaps you have a use for graphical elements in a new email, brochure, or online advertising campaign. Do you need brief audio clips for customer support, phone recordings, or online/broadcast radio marketing material? Pull relevant segments of the audio from the video you produce. While most videos can be distributed as a whole, or cut up and re-purposed for other marketing, arguably the most multi-use versatile video out there are animated explainer videos. Animated explainer videos are created in software programs, like Adobe After Effects, and feature many individual graphical elements that are animated together to tell your company’s story or explain a product/service. Since these animated explainer videos are all done from scratch through digital animation, hundreds of media assets usually make their way into the project. So, when it’s all done you have your primary animated video for distribution and you also have hundreds of images, text elements, and more that can be implemented in non-video related marketing material. Here is an example of an animated explainer video along with a PDF / direct mail piece that went along with it. Re-purpose these elements that were made for your video and apply them wherever you need! Your video and the external assets used to make it can now apply to email campaigns, presentations, trade show displays, customer support material, blog posts, social media campaigns, and more. Video and film are amalgamations of different technologies that happily marry to tell a story. Again, for all your pragmatic business women and men, using this corporate video production content in the right way can increase awareness, convert leads, and drive sales. At the end of the day, Forbes says it best. Video is “The New King of Content Marketing.” All hail the king. What are your thoughts about a Video 1st Strategy for your business and get the most versatility from your corporate video production project? Comment below and let us know!